Sakai Guides and DocumentationSakai Complete User Guide AnnouncementsHow do I view announcements? Announcements are displayed in several locations. You can view them from Home, from an individual course or project site, or from the Announcements tool. Zoom: Viewing announcements in My Workspace. When you are logged in to Home, you will see your Recent Announcements displayed there. 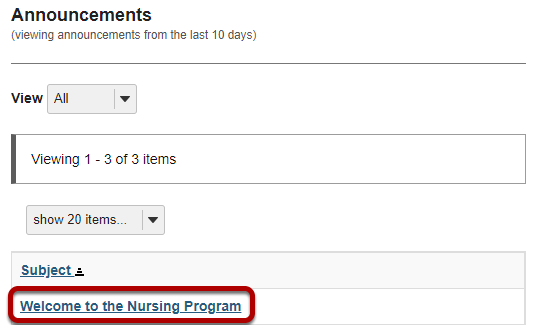 Your Recent Announcements in this location will show all announcements from all sites in which you are enrolled. Click on the announcement subject. 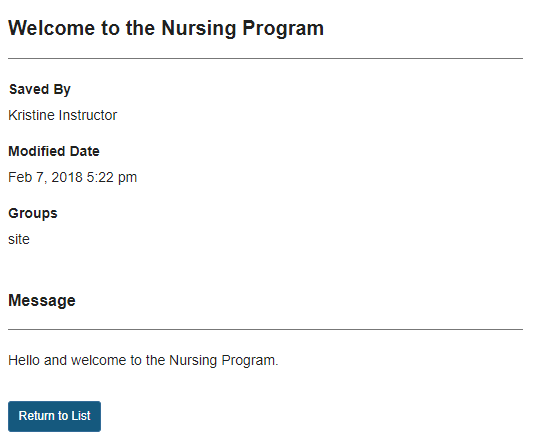 Viewing announcements within a course or project site. Zoom: Viewing announcements within a course or project site. 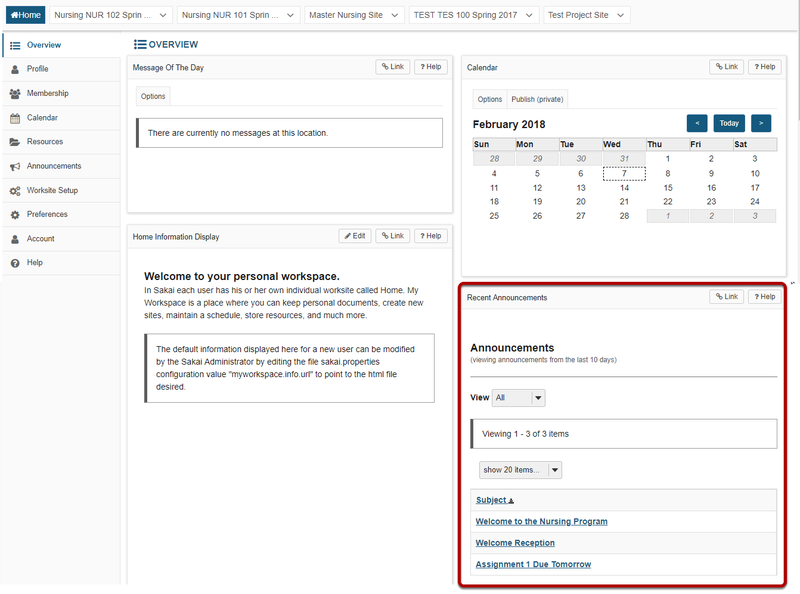 When you enter a given course or project site, your Recent Announcements for that site only will display on the site Overview page. Viewing announcements via the Announcements tool. You may also view your announcements by selecting the Announcements tool in the Tool Menu from Home, or from within an individual course or project site. Note: Remember that Home will display announcements from all courses. Zoom: Click on the announcement subject. Prev: How do I change Announcements tool permissions? Next: What is the Assignments tool?